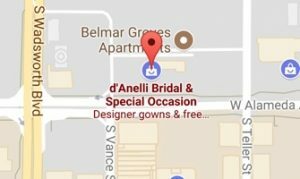 d'Anelli Bridal > Discounts > SPRING SAMPLE SALE – WEDDING DRESSES FOR $300! Wedding dress samples starting at $300! These samples are by high-end designers, in great condition and on sale for amazing prices! You really don’t want to miss out, schedule your appointment today! Designers: Stella York, Essense of Australia, Allure Bridals, Blue by Enzoani, Paloma Blanca, Mikaella by Paloma Blanca, Sky by Eddy K, The Cotton Bride. By Appointment Only: BOOK NOW!